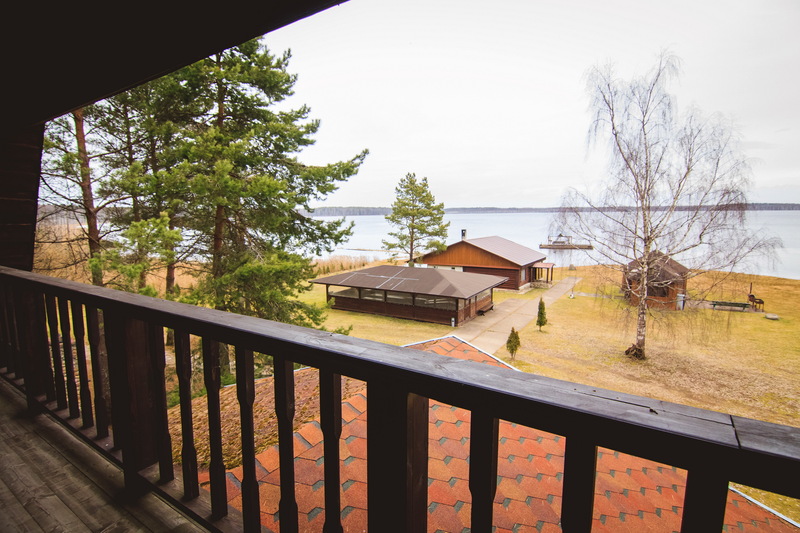 you decide to relax in the most picturesque part of Belarus? Do you appreciate the comfort, warmth and luxury? You are attracted to clean and pleasant atmosphere of the room? Then we recommend staying in the House 2 (case 2). 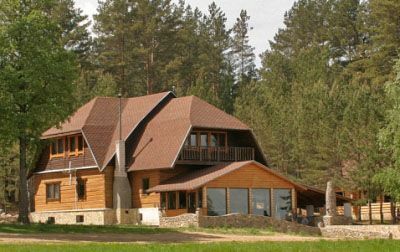 Structurally this building is a three storey wooden house, made in an extravagant style, with elements of the hunting theme. Design does not impress you, on the contrary, will create a pleasant mood, successfully combining rustic and modern styles in one. 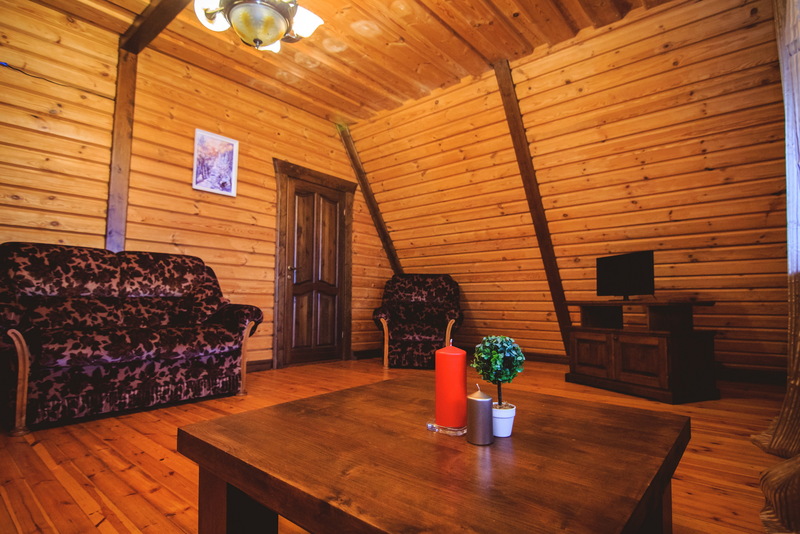 Once in it, you, like, get into a forest hut, but, It offers all the amenities. The house has seven rooms, a dining room and a comfortable recreation room. Can accommodate up to 20 people. On the ground floor is a spacious kitchen and dining room for a comfortable meal in a cozy atmosphere. The basement houses an unusual banquet hall "remote corner", the design of which will delight you. A long high windows in the wall, overlooking the lake, made in the French style, will enjoy the magnificent scenery. 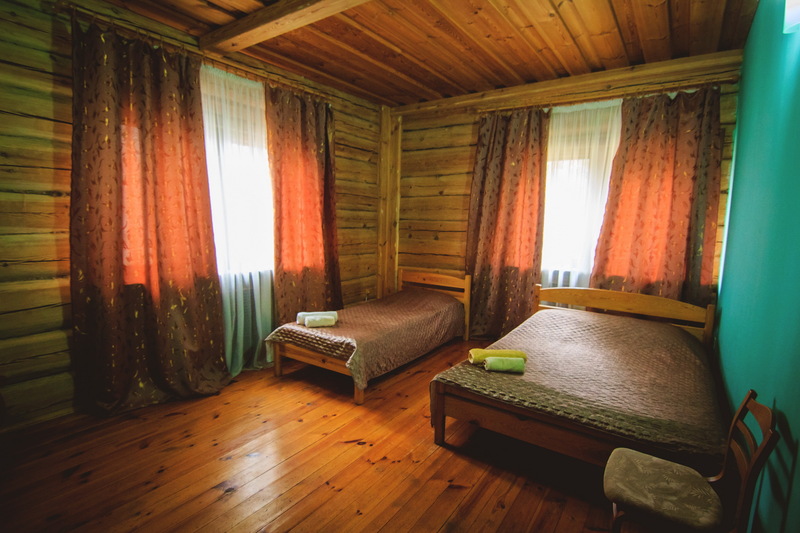 The second floor has two cozy double rooms with one single bed and one double bed. 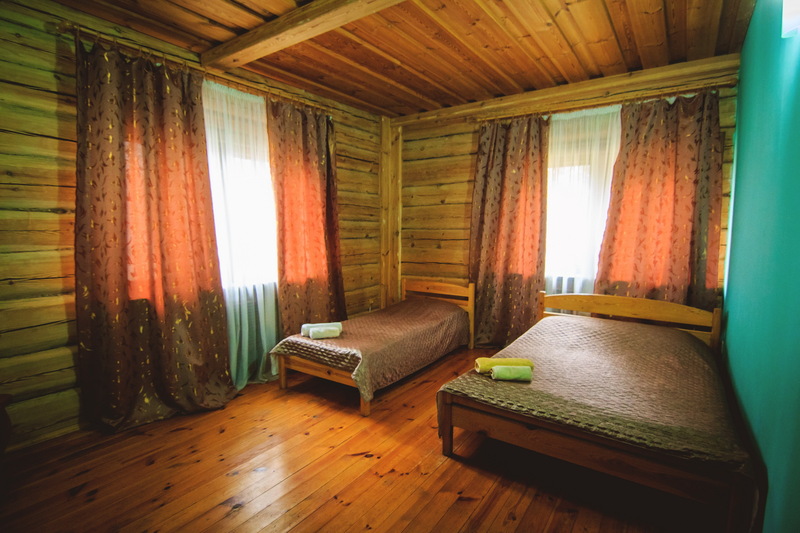 So there is a comfortable double room with double bed and one single room, which houses two single beds and one double. for VIP-clients on the third floor is a suite consisting of two rooms. The room suites located one double bed. Also inside a chic balcony from which to survey the whole beauty of the area. 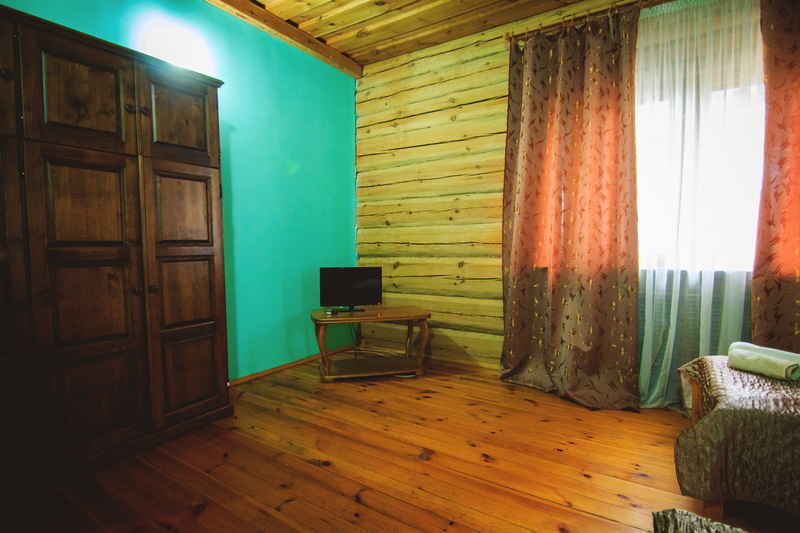 Additionally offers two double rooms in which there are two beds, one single and one double. As you can see, we have a wide range of apartments to suit every taste and preference. 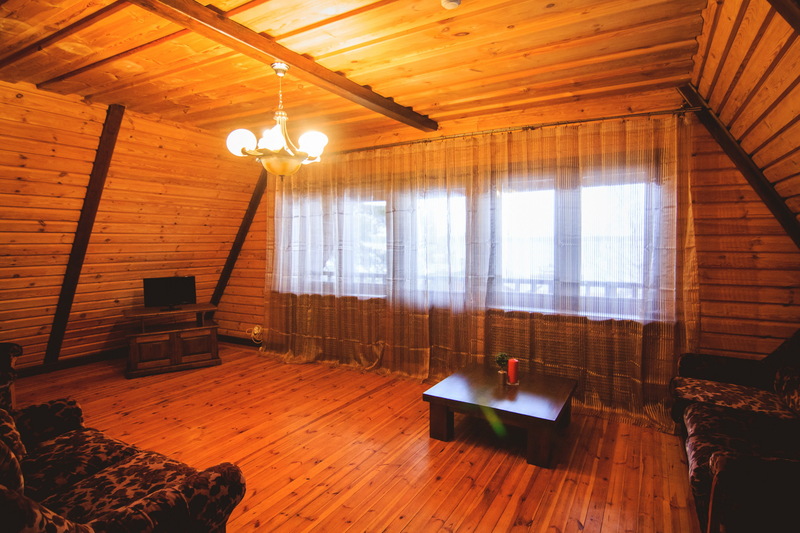 Rooms have all the necessary furniture for your comfort. 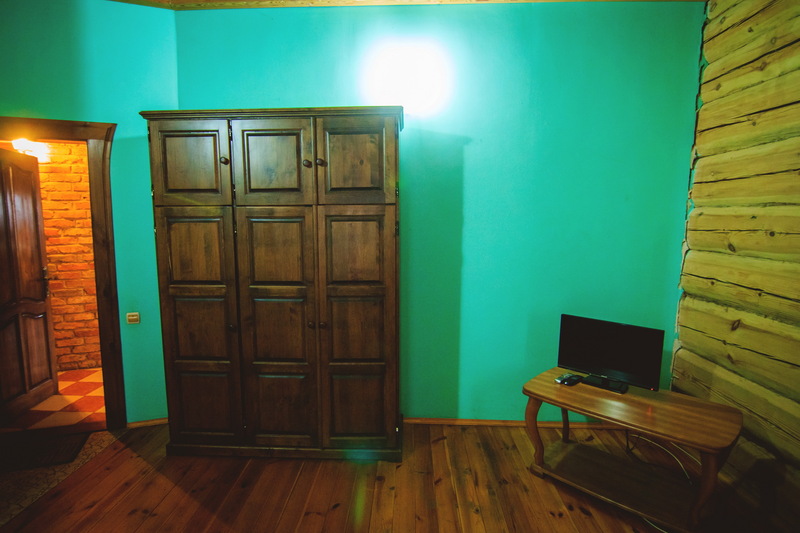 If you would like to recall the home environment, in your room you will find a TV. 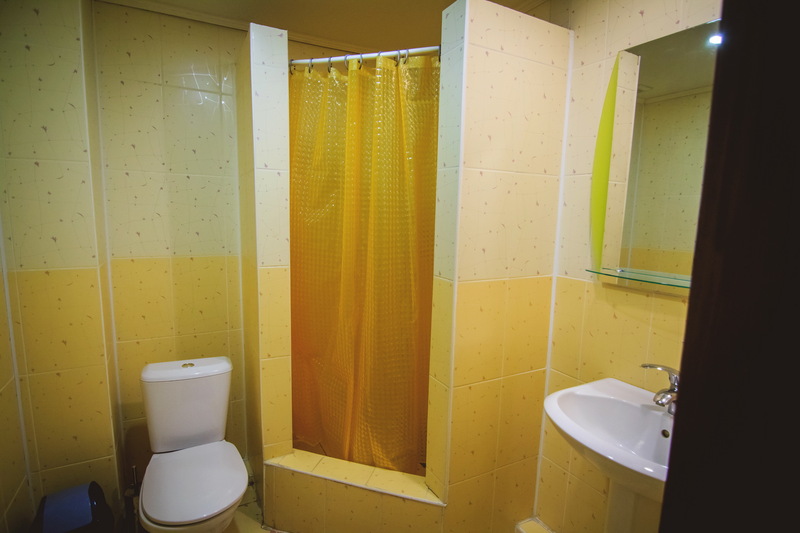 Also in the room is comfortable and clean bathroom, including a shower, sink and toilet. Friendly and helpful staff will make your stay as pleasant as possible.